With the concrete poured, set, and curing, framing can now begin in earnest. 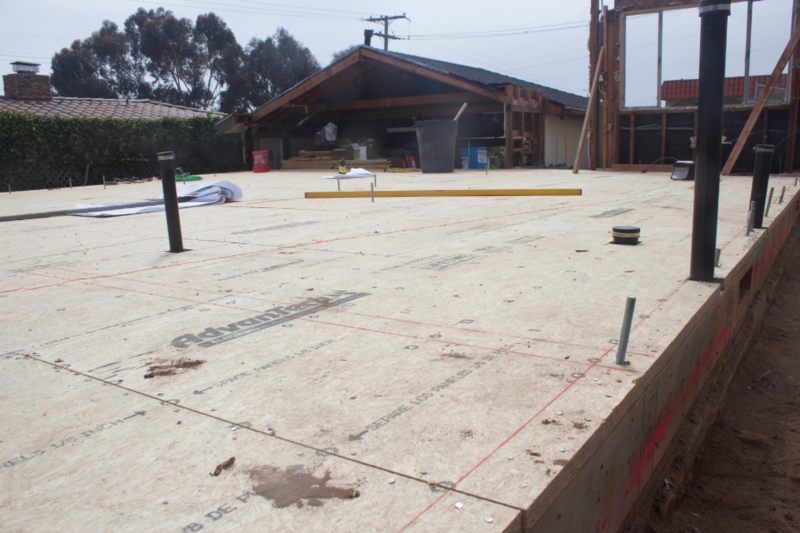 Floor sheathing is installed first, but not before laying in batts of R30 fiberglass insulation. Remember what Julio said about having to go under the foundation? It’s much easier to lay in your insulation from on top, before installing that subfloor. Julio concurs, and he’s particularly happy with the install process. 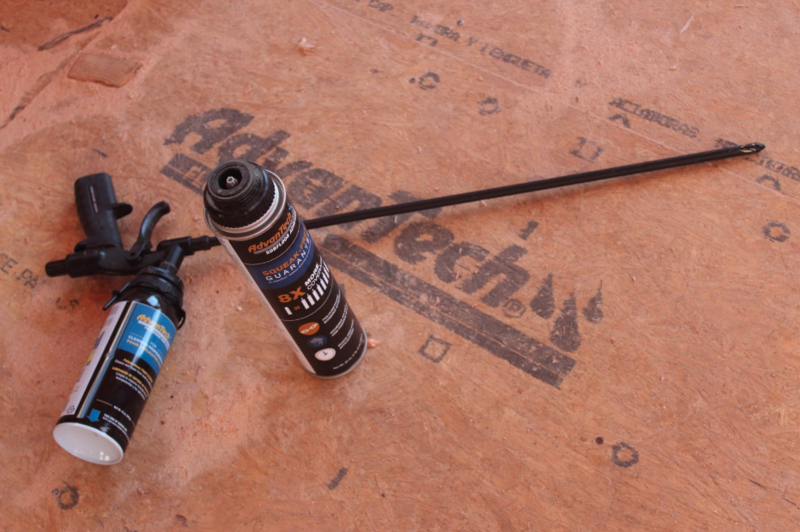 “Their adhesive applicator makes installation fast and easy,” he says. 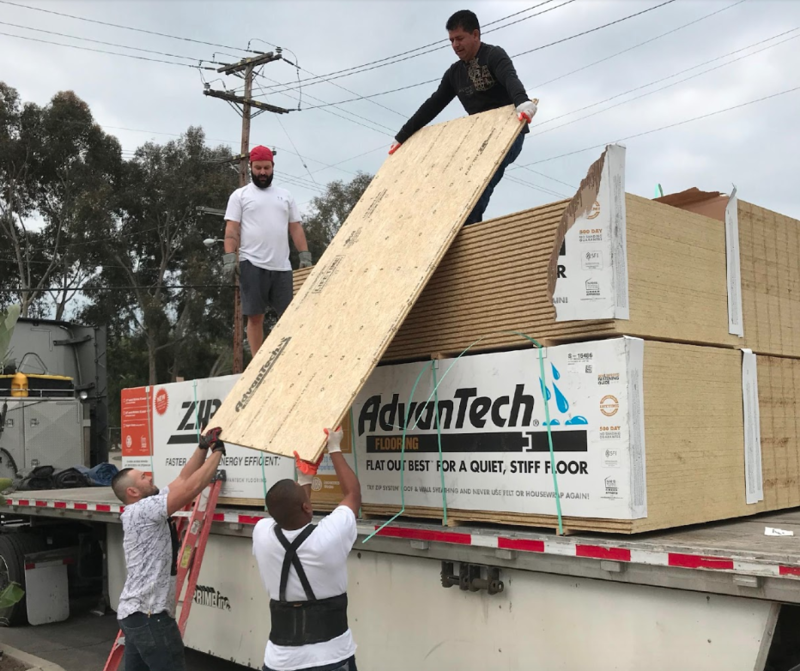 “The long tube means you’re not hunching over or getting down on your knees, and the adhesive itself is soft and pliable, so it goes on easily with the trigger applicator.” And when this stuff sets up, it’s tough as nails and holds like a bear to a donut, so floor sheathing and joists are permanently bonded. No squeaks here! Is that a roller rink? A bowling alley? Nope, just one hella thick subfloor that could certainly handle those two activities! Nice job, guys.